Bill’s Distributing provides Northwest Wisconsin with classic, delicious products from top notch brewers and beverage groups. We strive for service second to none and we truly enjoy what we do. Quality is not an act, it is a habit. Next time you knock one back, enjoy it and think of us. Squeezable packaging gives people more flexibility.These can go where Glass Bottles are NOT ALLOWED. 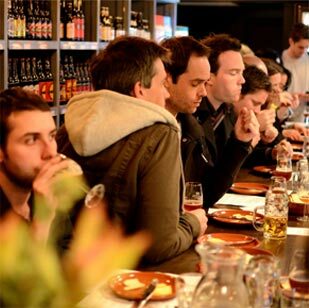 Beer tastings, food pairings, and new product releases, oh my! Looking for something seasonal? Check out this season's many new styles. This weekend at Rush River Brewing!